Anaemia is a deficiency of red blood cells and/ or haemoglobin, this deficiency may be due to an iron deficient diet or poor iron absorption. 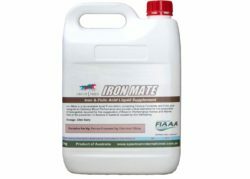 Iron Mate provides a bioavailable source of the nutrients needed to prevent anaemia and promote optimal blood oxygenation and blood performance. A horse suffering from anaemia will have poor race performance. Anaemia results in an inability to supply sufficient oxygen to muscles and therefore the horse will tire easily, staying power will be affected and overall speed reduced due to a lack of energy reserves.